"On the ball estate agents. I can highly recommend Garrett Whitelock to anyone wanting to sell their property. They were quick to react to my initial request for a valuation and that speed lasted throughout the process. They gave me constant feedback, which was great, and once an offer was agreed they continued to keep me updated and chased people when needed. Excellent service." "Tenacious professionals. This is the third time Garrett Whitelock has acted on our behalf â€“ once buying, and twice selling. They have always performed to the highest standards and we wouldn't hesitate to enlist their services again in the future." "By far the best agent in the area. In our experience, Garrett Whitelock is by far the best agent in the area. We have rented and bought property with two much larger agents in SE1, and found Garrett Whitelock to be much more proactive, straight-up and communicative than the others. I would happily recommend them and wish them all the success they deserve." "Friendly and easy to use! I purchased my first flat through Garrett Whitelock and was very impressed by their service. I was very nervous about the whole thing, but they made the whole process simple and I felt completely at ease. They kept me updated every step of the way and told me what to expect. Thank you so much, Garrett Whitelock." "Garrett Whitelock does an amazing job! We are currently based in Australia so having an agent we can trust to look after our apartment is very important. 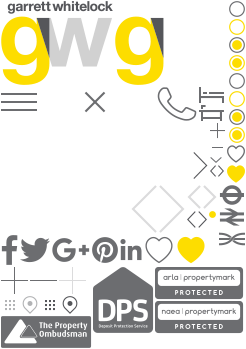 The team at Garrett Whitelock do an amazing job of looking after our tenants and our property, and their online system makes it easy for us to keep track of everything. Highly recommended!" "Excellent service. Having rented my property in SE1 for many years with another estate agent, I decided to use Garrett Whitelock after one of their flyers came through my door. I can't speak highly enough about them. Their service is far superior to what I was getting, and they respond to any questions almost instantly. I genuinely feel in safe hands, and I can't recommend them highly enough." "Easy to deal with estate agents. I have just completed a purchase with Garrett Whitelock Estate Agents and I found them to be very easy to deal with, upfront kind of people. None of the usual spiel, and I felt the answers they gave to my questions â€“ I had plenty! â€“ were honest and genuine, instead of being designed to get me to sign on the dotted line. I highly recommend them." "Easy, hassle-free process. I rented my first apartment in London a few days ago through Garrett Whitelock and the whole experience was hassle-free and professional. They even put a gift box in my new home with useful items like tea bags, sugar and kitchen roll - a really nice touch. I'd heard a lot of horror stories about estate agents in London, but these guys were great and Iâ€™d recommend them to anyone." "Finding Garrett Whitelock was a revelation! They were friendly and business-like and they did what they said they would do efficiently, honestly and courteously. I now use them to manage my property and Iâ€™d recommend them wholeheartedly." "Fast, very well-organised and always available. This is a real 5-star agency. I rented my first flat in London with them. They helped me in each part of the process with endless patience and happiness. They really care about their customers and I'm glad to be one of them." "Working with Garrett Whitelock has been a breath of fresh air! As a landlord, itâ€™s much less stressful having your queries, phone calls and emails answered promptly and everything sorted out so efficiently." "Reference checks, prepared tenancy agreements and oversaw the move in with no complications"
"No matter whom I spoke to at Garrett Whitelock, they all knew me."